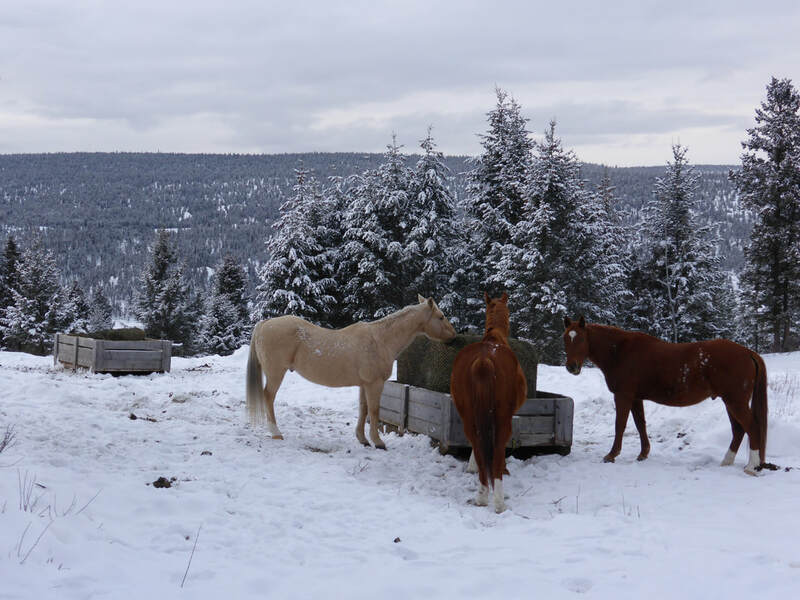 Horses have 200 acres of dry hillside to roam freely 24/7 with a natural spring as well as an automatic heated waterer and free choice salt and mineral blocks. 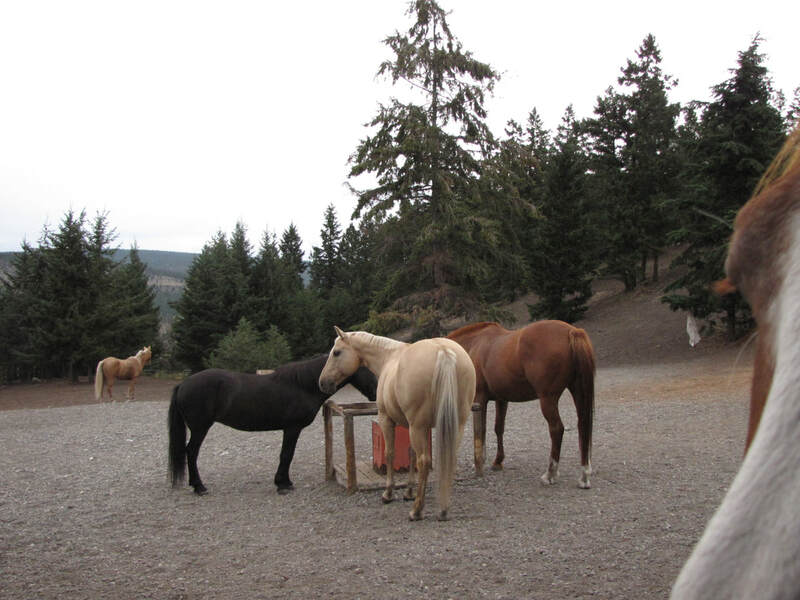 The property is timbered with open pasture areas and left natural for the most part. 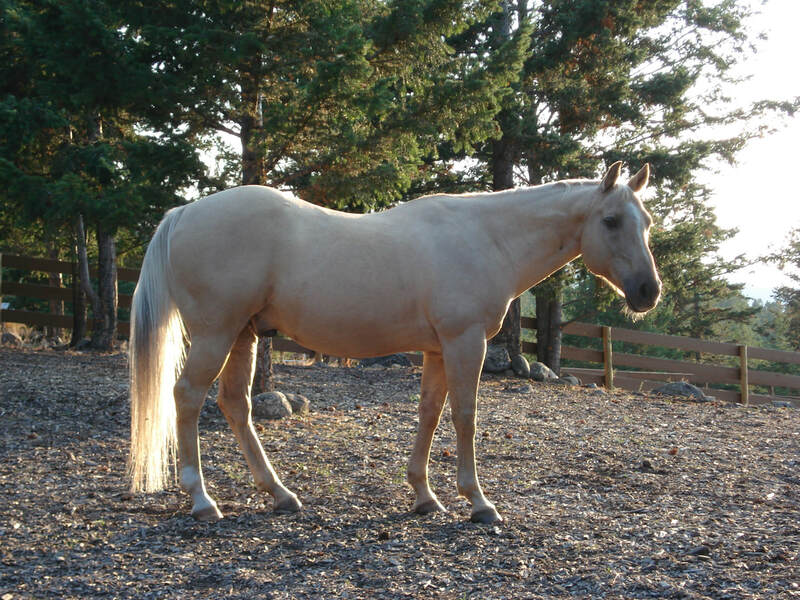 It provides good exercise for fitness and muscles, promotes sure footedness and strong hooves and best of all a natural social life with lots of freedom. 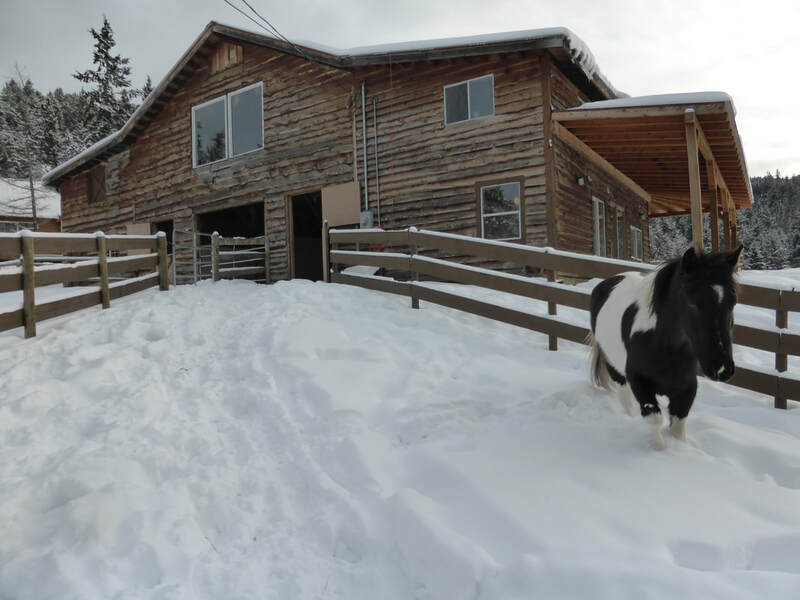 Ideal for young and retired horses. Not good for horses to be ridden as they can be very hard to find! There are a maximum of 8 horses. 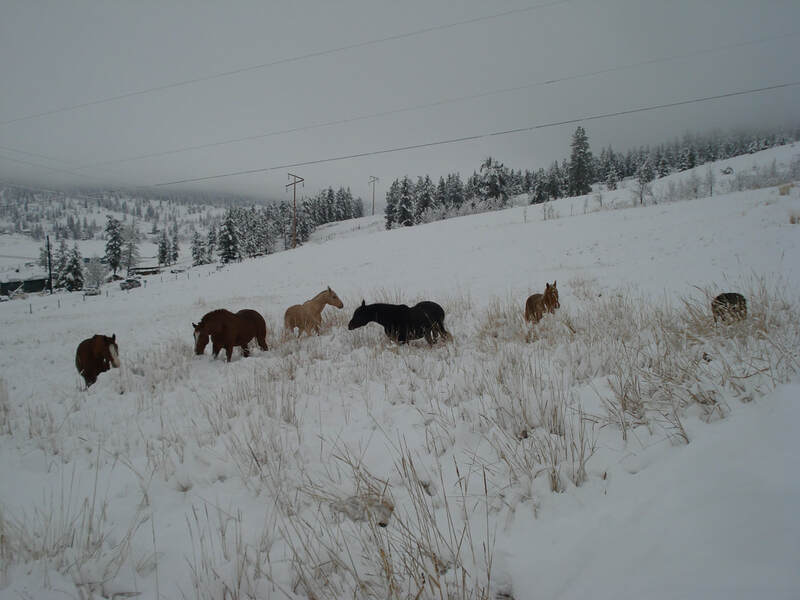 In the winter hay is supplemented for an additional cost for the amount of hay fed and divided by the number of horses. 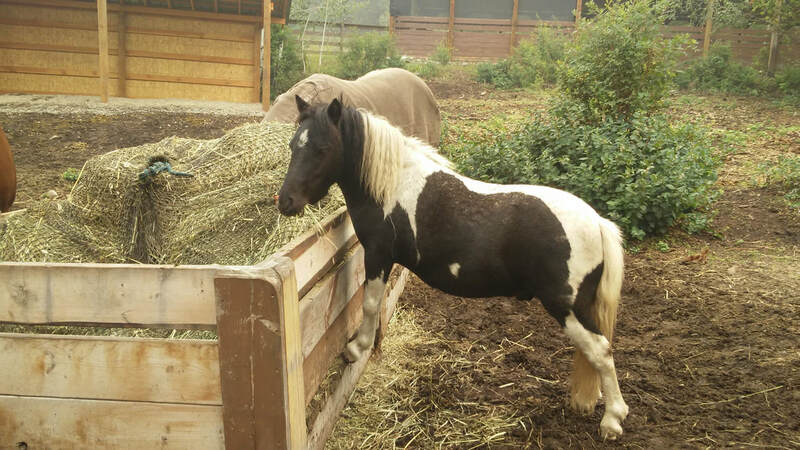 Horses who are not easy keepers and need more hay to maintain a healthy weight will have to go on full hay winter board ($300 per month plus GST). 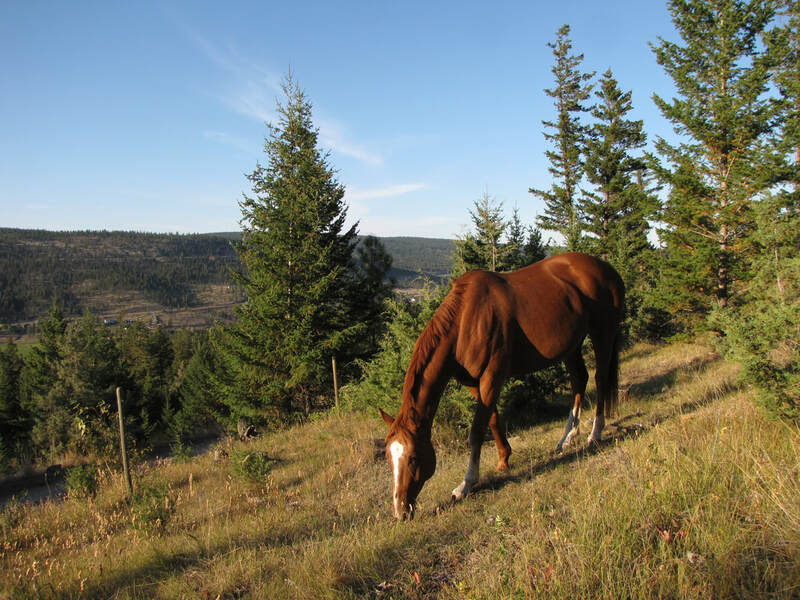 40 acres of hillside pasture for up to 8 horses. The benefits of free movement and herd interaction plus having the horses available during the day for riding. 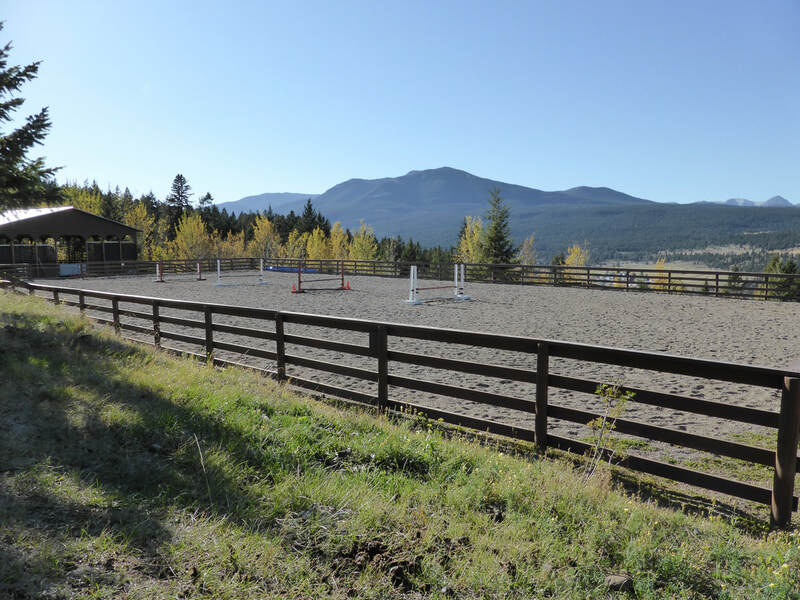 Use of the riding arenas is included. 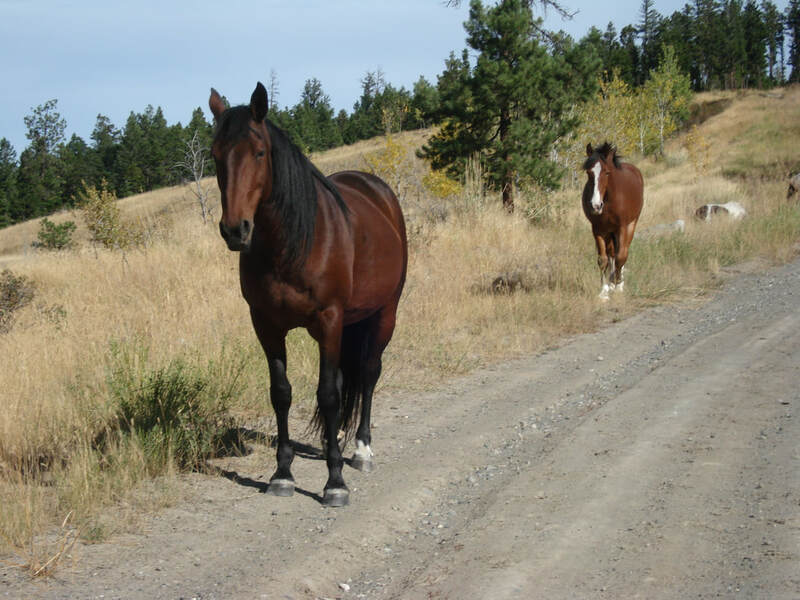 Hay supplement during the day so horses don't stand around without feed for more than 4/5 hours, free choice minerals and salt, automatic waterer and supplements can be fed, fly masks and fly spray application is possible too. Priority goes to horses in training. 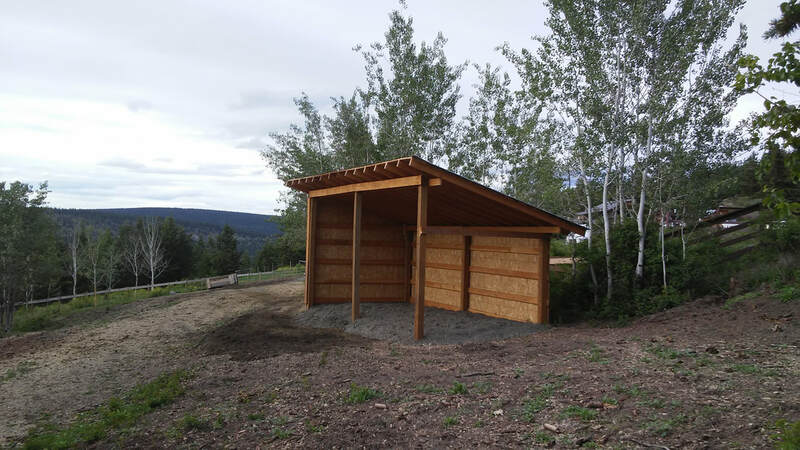 This option is available most years from May to sometimes end of December depending on snow and grass conditions. Automatic heated waterer, free choice minerals and salt with shelter and trees. For horses in training and horses who cant be on grass and for winter board. Use of riding arenas is included. 2 nice size pens are available, one with stall access, automatic waterer, minerals and salt block. 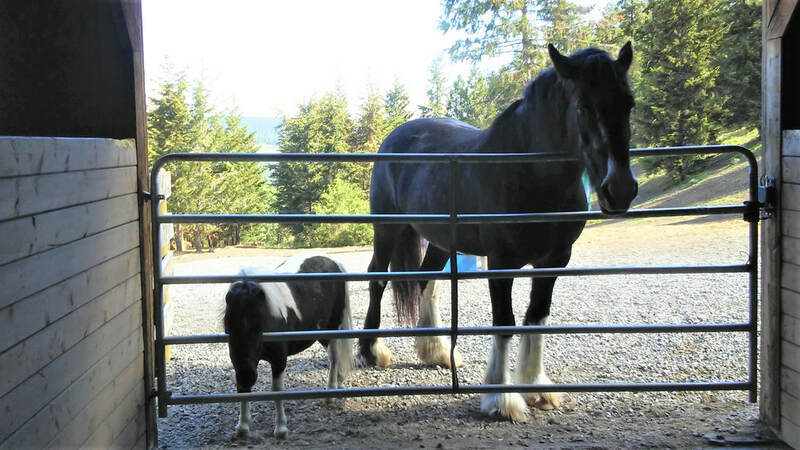 For short term training horses and horses not allowed in with other horses or are injured. Slow feeder hay nets, can be free choice or rationed. If you provide your own hay its $10 per day or $300 per month only for temporary horses in training not long term boarders. 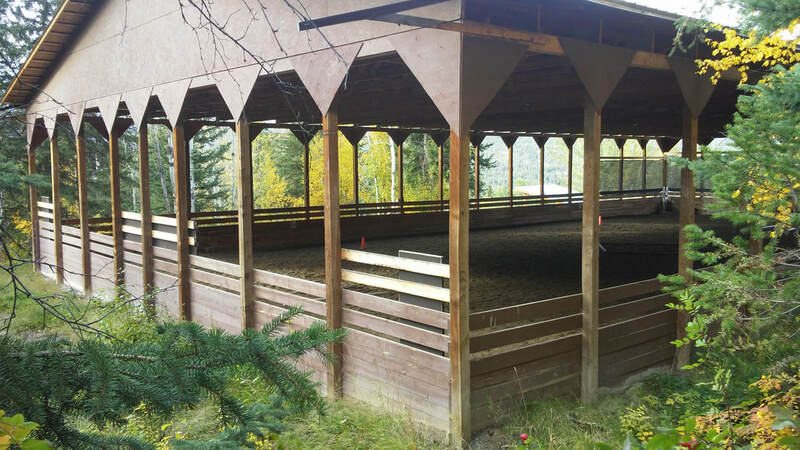 Temporary, horses staying here for clinics or passing through travelers. 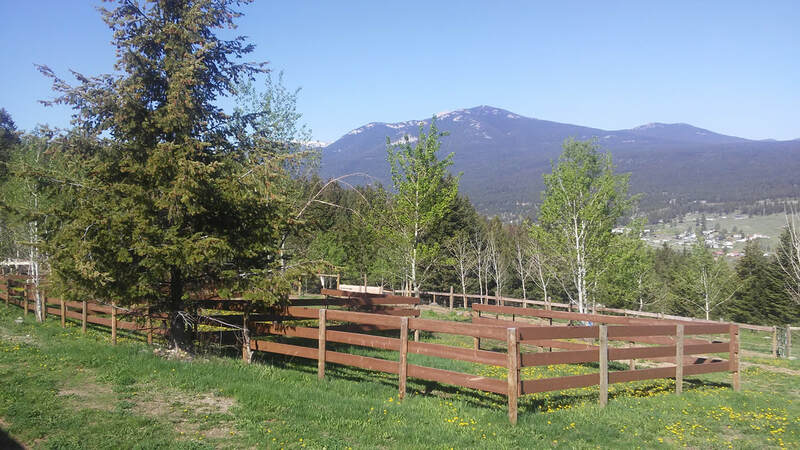 Various pens are available with solid board fence, hay is not supplied, please bring your own water buckets and clean up after your horse.